The Greymouth District Council, in the South Island of NZ, is going through an urban redevelopment programme and it has been engaging with the community through an extensive consultative process. 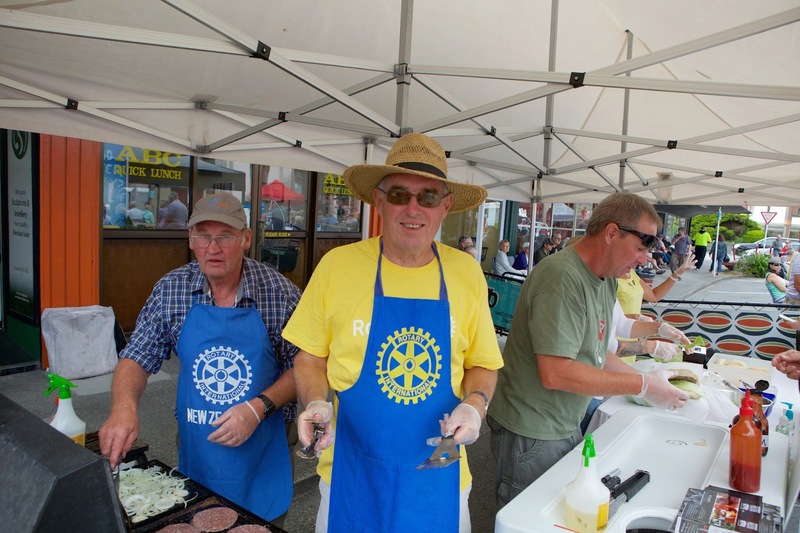 Several members of the Rotary Club of Greymouth have experienced summer fetes, in Southern France, that bring together visitors and locals with food stalls, music and local fare. Typically a town square is closed off with tables and chairs for the community who can purchase food and drinks from food stalls and enjoy eating whilst listening to local musicians. 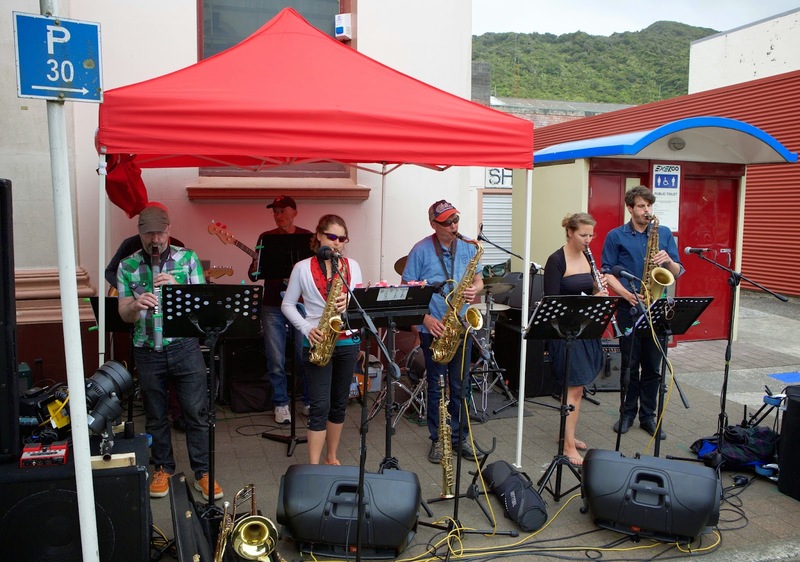 Greymouth Rotary partnered with the community and closed off a street in the centre of town on February 15, recruited 12 food stalls and seven art and craft stalls and organised professional musicians to entertain. This was a community building project rather than a fundraiser and club members used their Rotary networking skills to generate a most successful 'Fare'. Rotary and Lions combined to run a food stall to promote one of the local food products and thus generated a modest donation to their local Air Rescue Trust. 200 venison burgers and many plates of gourmet sausage tasting samples were sold in just two hours. Thanks to the support of the community and the registered stall holders, the Rotary Club of Greymouth was able to run the event on a modest budget. The event was an outstanding success, so it may become a regular feature on the Greymouth calendar.